The Banff Commonwealth Walkway was created to mark the 90th birthday of Her Majesty Queen Elizabeth II and celebrate Canada’s role as a member of the Commonwealth. 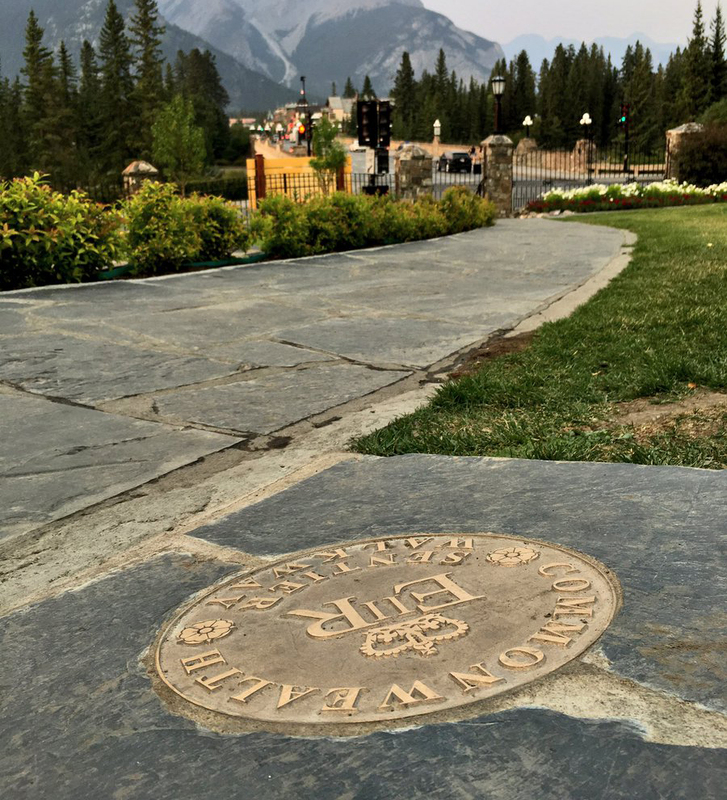 Banff’s Commonwealth Walkway features bronze plaques along existing trails and at points of significant local interest. The plaques bear Her Majesty’s personal Royal Cypher and include details about royal connections to the mountain parks and Canada’s Commonwealth history. Four walks begin at the Commonwealth Walkway Commemorative Plaque, located at the southwest corner of Banff Avenue and Buffalo Street, outside the Banff Park Museum National Heritage Site.